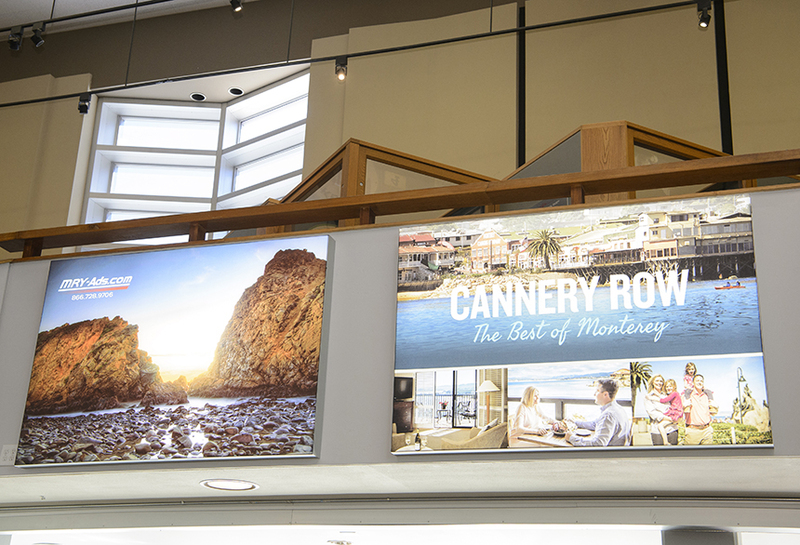 Situated on Monterey Bay along California’s central coast, the city of Monterey is home to about 28,000 people, but as a hot tourist spot, it hosts many thousands of visitors per year. 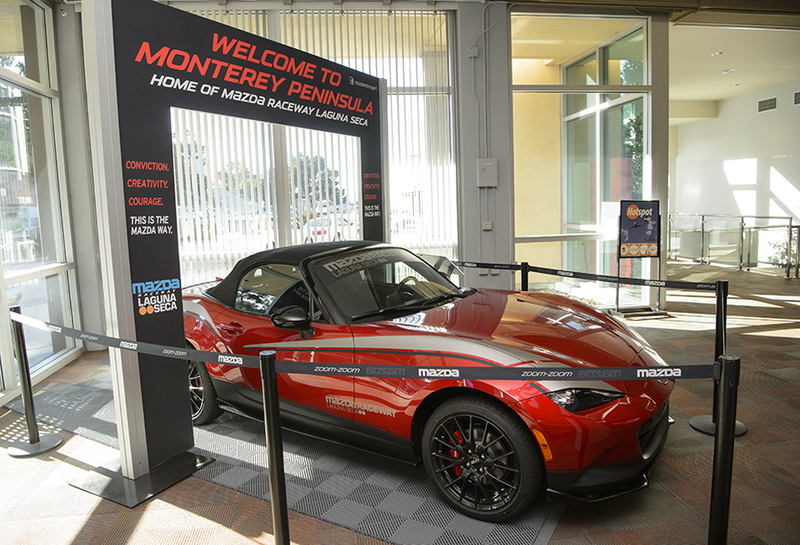 Additionally, many high-profile companies are within driving distance of Monterey, such as Pebble Beach Resorts, Tesla Motors and Apple. 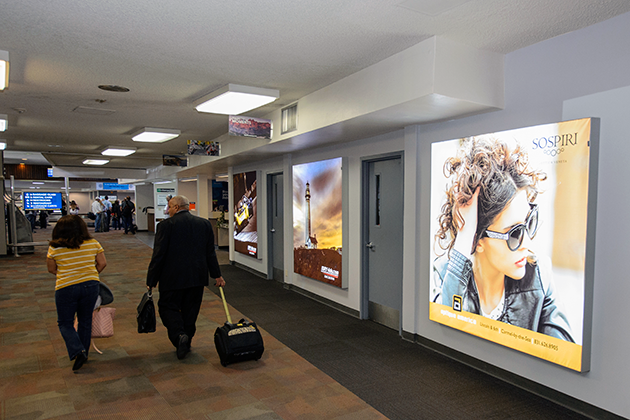 Serving a mostly upscale tourist demographic along the central coast of California, Monterey Regional Airport (MRY) presents a unique opportunity for targeted advertising for local and national companies alike. 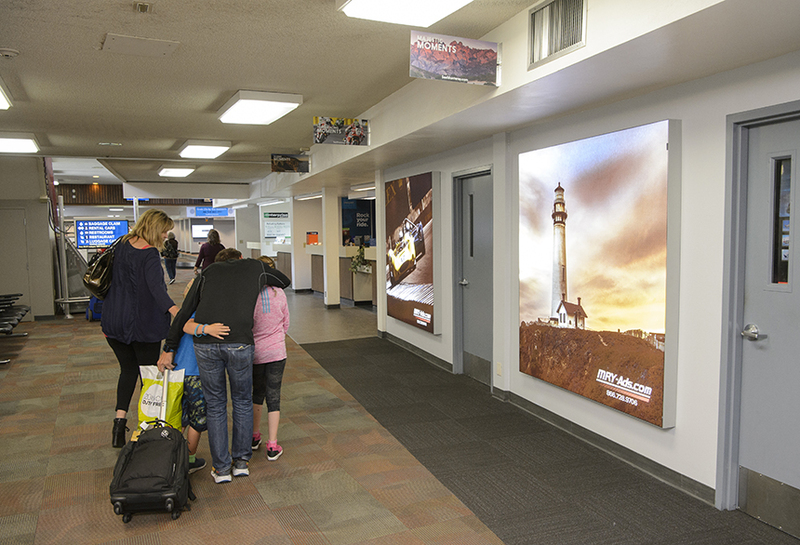 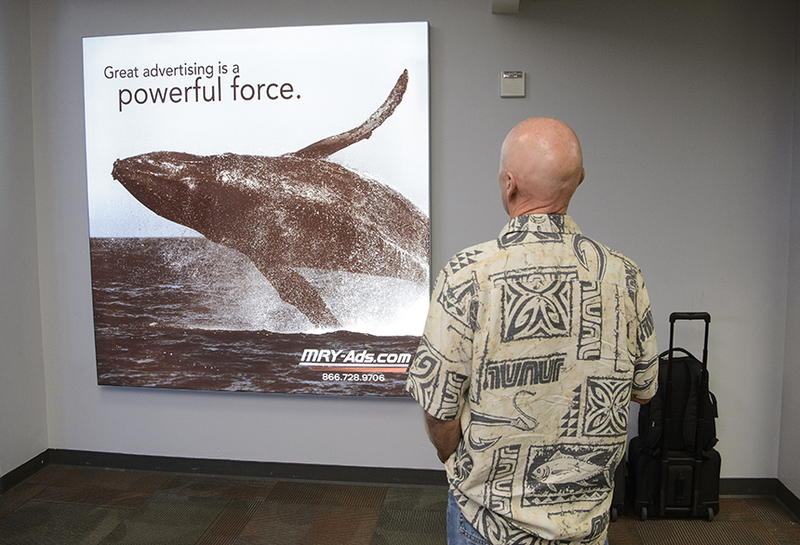 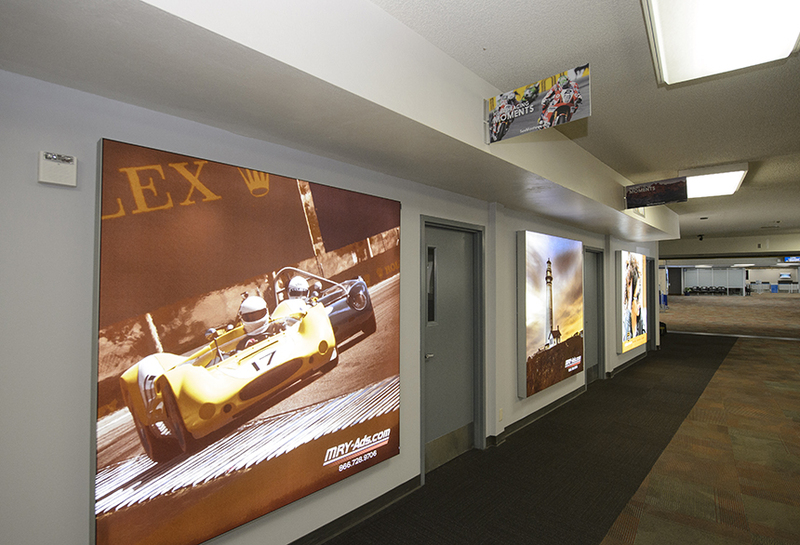 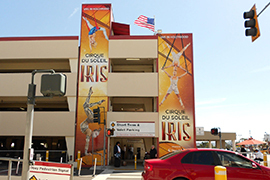 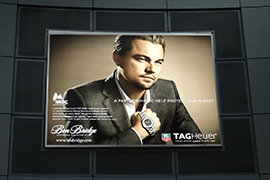 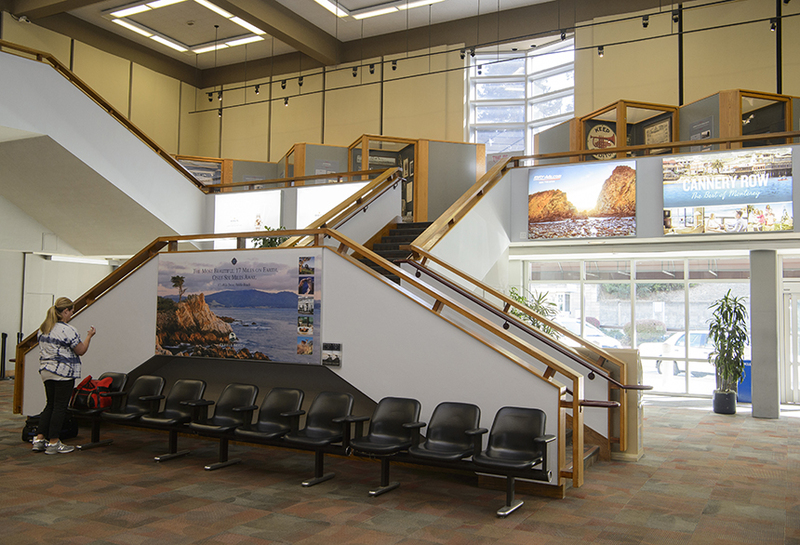 Soaring in front of airport vehicle traffic, as well as highly visible to all passengers entering and exiting the building, these bigger-than-life wallscapes and banners deliver your message in a bold way! 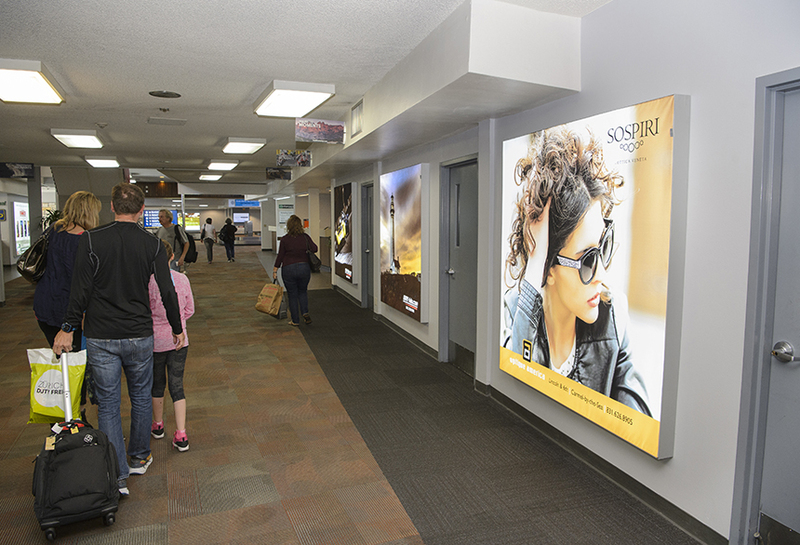 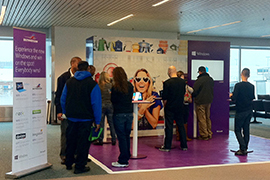 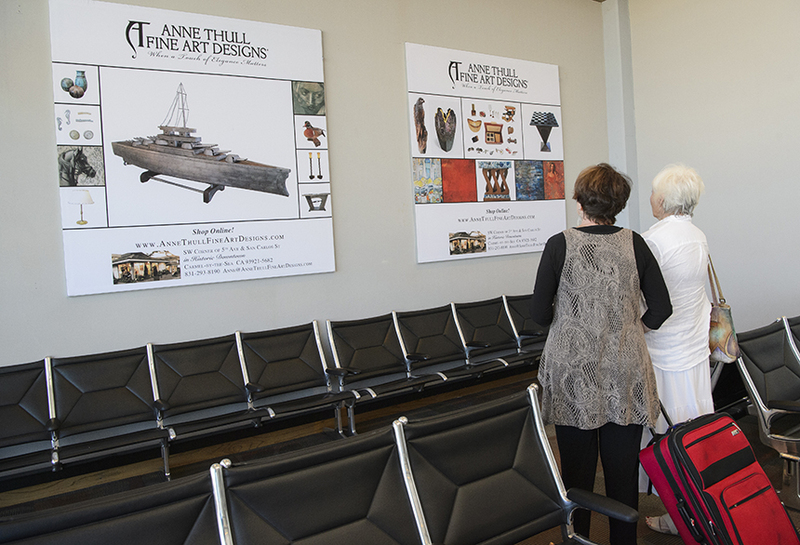 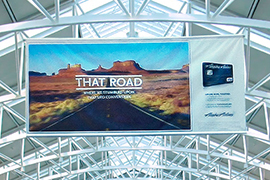 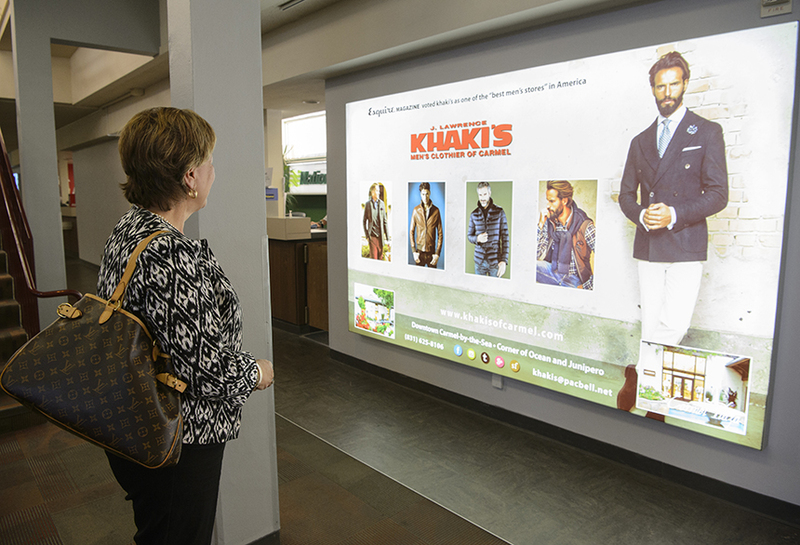 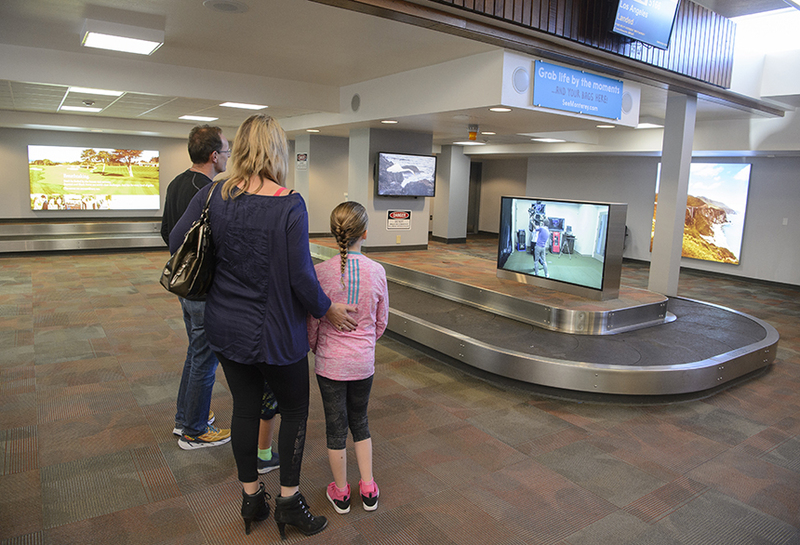 Your product deserves the spotlight, and our strategically placed showcase displays make your brand shine in a fast-paced airport environment. 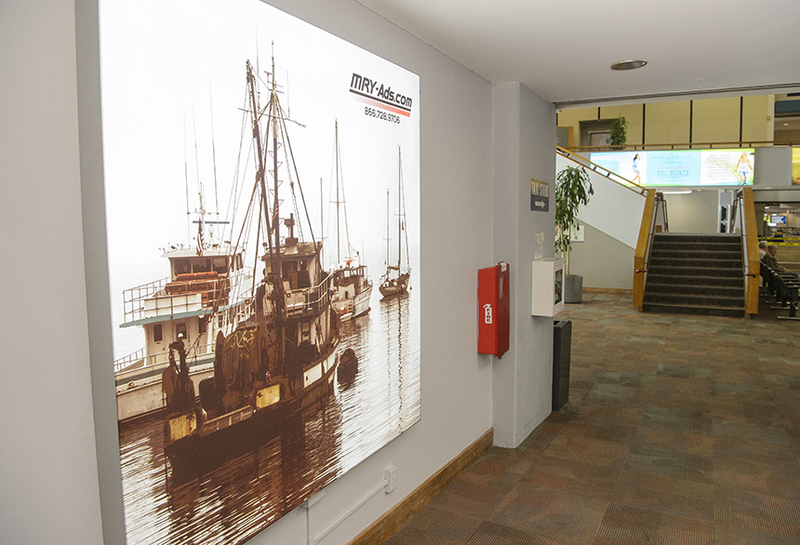 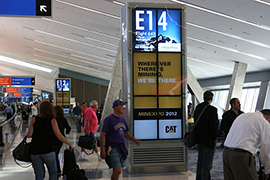 The visually appealing, exhibit-style cases are illuminated, creating a more impactful, eye-level presentation among the hustle and bustle of busy travelers.